I received a message from our National Lecturer, Pete Pompper. 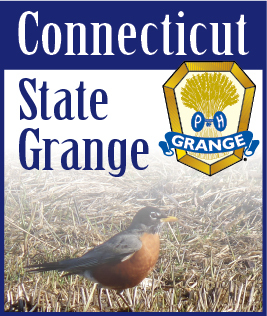 Grange Month Packets were mailed the beginning of March to each Grange Secretary. There are several items in the packet which are for the Lecturer. I hope every Grange Secretary has given their Lecturer the proper information. If not, please do it today. Your Pomona Lecturers met on February 26th to discuss our State programs and projects. The importance of a quality program at every meeting was discussed in detail. All programs should be between 30 and 60 minutes long. A five or ten minute program does not qualify. We need more than a reading or a song for a program. Don’t forget the Lecturers Program is part of the order of business and should not be omitted. As Lecturers we need to make people want to come to our meetings. And, don’t forget, your Deputy will once again be asking for your records the night of inspection. The following should be included in your program – Music, Information, Participation of Members, Inspiration and Humor. The only exception to this would be a guest speaker or other special event. The Lecturer has a hard job. They need to be creative and constantly come up with new ideas. Why not offer to do a number for your Lecturer. She or he would be delighted. Grange Sunday and Let’s Celebrate are coming up quickly. Do you have a Talent entry and an “A Number” to enter. Every Grange should have an “A Number”. You have them every meeting. Check your Blue Book, call your Pomona Lecturer or myself for details.